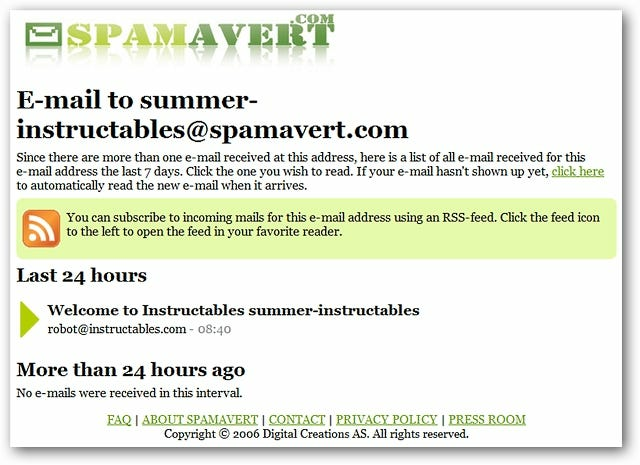 Are you tired of websites always asking for your e-mail address and then bombarding you with high amounts of spam? 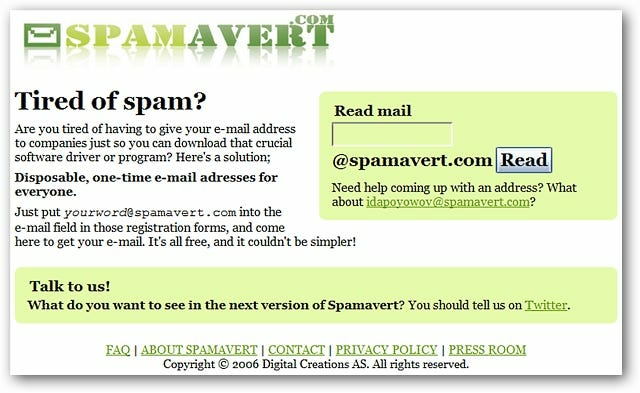 Now you can get what you need and put an end to the harassment with Spamavert. Note: You can use the Firefox extension or directly access the website if you have a different favorite browser. 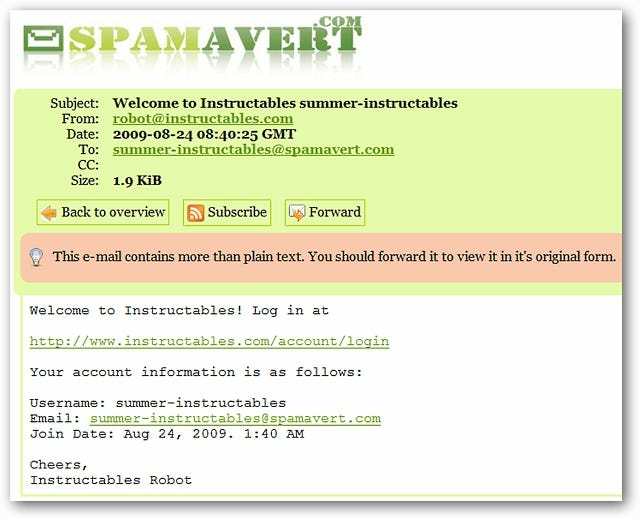 Once you have the Spamavert extension installed, it is recommended to have a quick look at the options. You can choose a particular prefix and prefix separator (underscore, dash, dot, or plus sign), various options regarding Spamavert functions, and Alias Generation (very nice!). 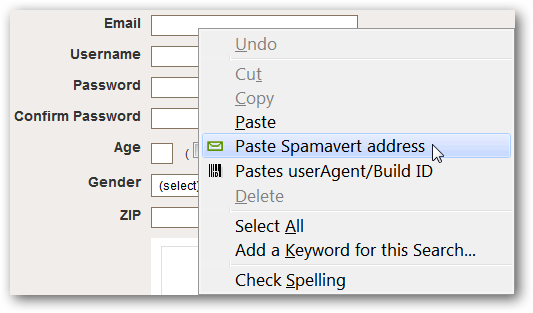 Using the extension is as simple as right clicking in the e-mail address blank and then clicking on “Paste Spamavert address”. It will automatically create and paste a nice temporary address. 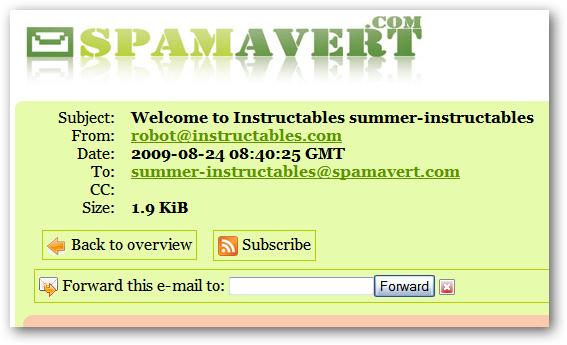 For our example it created the following address “summer-instructables@spamavert.com”. This is what you will see if you click on “Back to overview”…it shows a complete listing of all e-mails received within the last 7 days. 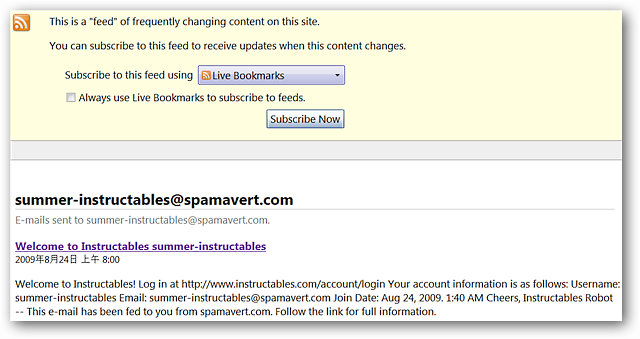 This is a great feature if you are testing a website to see if they send out spam or not. You can also subscribe via RSS to keep watch on your new temporary Spamavert account. And if you decide to forward the e-mail from your Spamavert account, select “Forward” and enter the address that you want it sent to. If you are using a different browser, you can go to the Spamavert website and find out how easy it is to create a temporary Spamavert address there (terrific!). 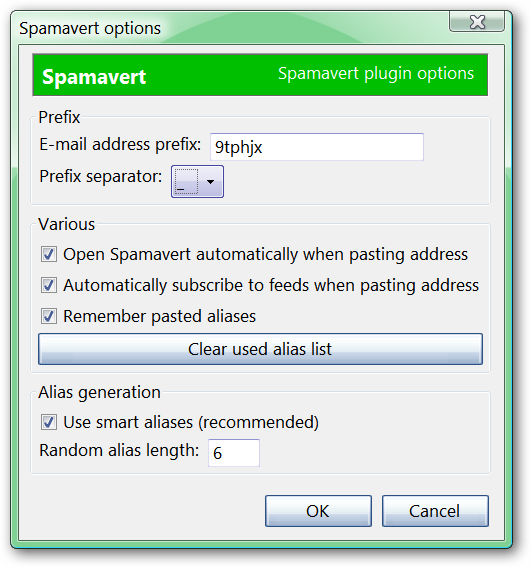 Whether you use Firefox or the website, Spamavert provides a very nice way to avoid all the spam and keep your personal e-mail accounts clean.